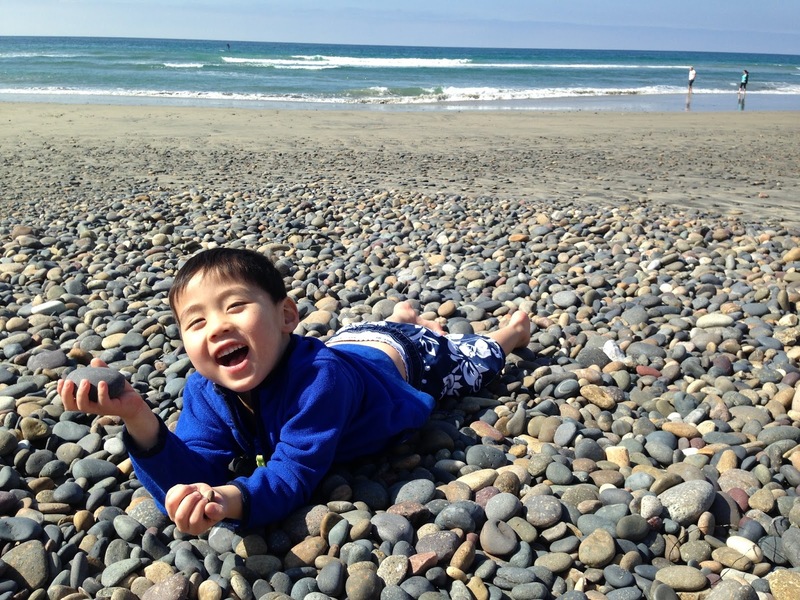 San Diego is a truly lovely place to bring your kids. There's just the right mix of natural attractions like the beach and man-made activities like the zoo. The food is good and the people are nice, probably due to the consistently beautiful weather. We spent four days there and could've easily stayed for a month. Go, just go. Everyone talks about La Jolla Cove and how lovely it is; all the rumors are true. The space is rather small, though, and swarming with tourists. Despite this, the cove is definitely worth visiting because of the seals that swim up to the shore just a few feet from the people in the water. 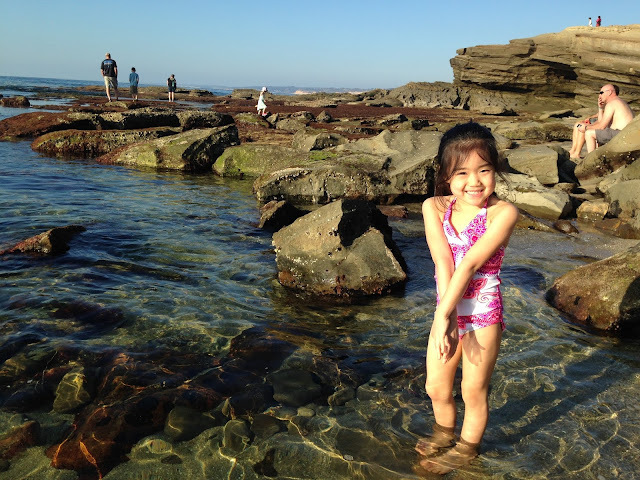 Within walking distance of La Jolla Cove is Shell Beach (for tide pool exploration), the Children's Pool (which isn't a pool at all, but a beach where seals gather and people go to watch them), and the La Jolla sea caves. Another amazing beach is the one at Torrey Pine. It's easily my favorite beach in the world. The entrance is layered with smooth rocks of a ridiculous variety of colors and patterns. The rocks give way to smooth, fine sand, and my kids spent an hour there doing their all-time favorite activity: outrunning the waves. 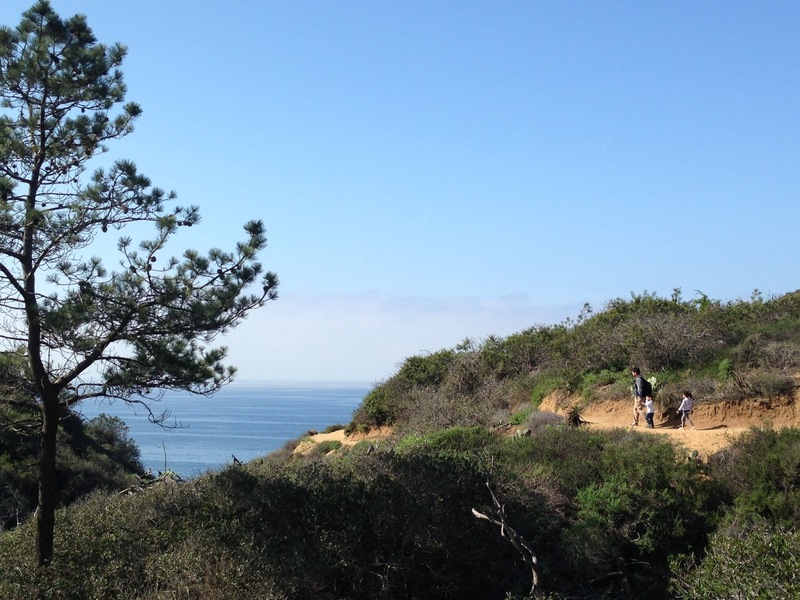 Sitting above the beach here is Torrey Pine Natural Reserve, which offers different levels of hiking. The Guy Fleming trail, which does a 2/3 mile loop, is the simplest route. The trails are sandy, so pushing a stroller is out, but the hike is the perfect length for short legs and offers breathtaking views along the way, so my kids were always too occupied to complain. And of course no San Diego kids' itinerary is complete without a visit to the zoo. The place is huge, so take advantage of the skyride and tour bus, both included with the price of admission. (If you're taking the bus, sit on the right side, which offers better views!) 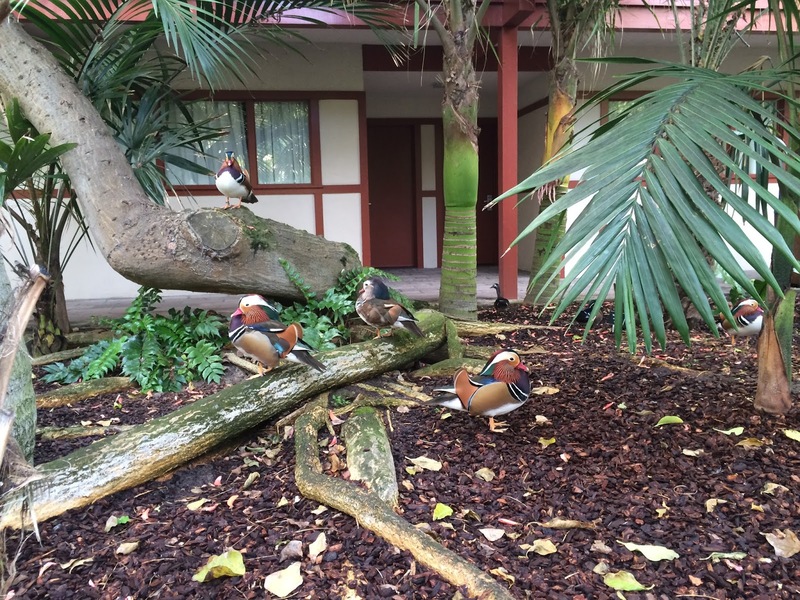 If you've got any energy left after the zoo, check out Balboa Park right across the street, which features a carousel, art museums, gardens, water fountains, and restaurants. I had booked a Residence Inn for our San Diego trip, and then a friend recommended we stay at the Catamaran Resort. When I looked into it online, it seemed too good to be true. Right on the beach. Tropical resort-like atmosphere. Kid-friendly. Reasonable prices — in fact, it cost about the same as the Residence Inn. There was even a free breakfast special that was going on at the time of our booking. I switched our hotel reservations, and Catamaran turned out to be even more amazing than I imagined. I highly recommend this resort — there were ducks hanging out in the pond right outside our room! We were on an all-taco diet in San Diego. 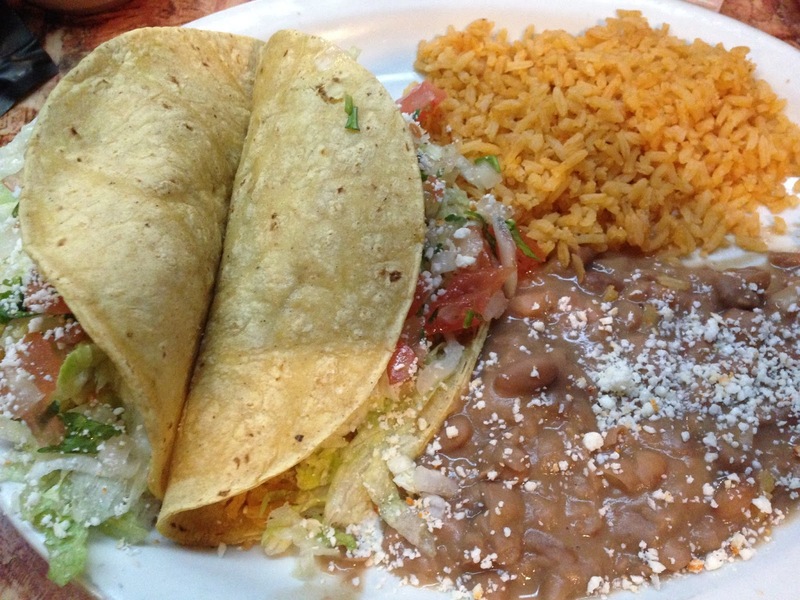 The trendy Puesto in La Jolla features fresh, interesting menu items like a cactus veg taco (in addition to more traditional offerings), but our favorite taco place is actually the incredibly divey, hole-in-the-wall La Playa Taco Shop on Mission Boulevard. Think: claustrophobic, no frills ambiance but simple, outstanding food. No matter where you pick up your tacos, finish the meal with a create-your-own ice-cream sandwich from The Baked Bear. About half an hour north of San Diego is Legoland in Carlsbad, CA. 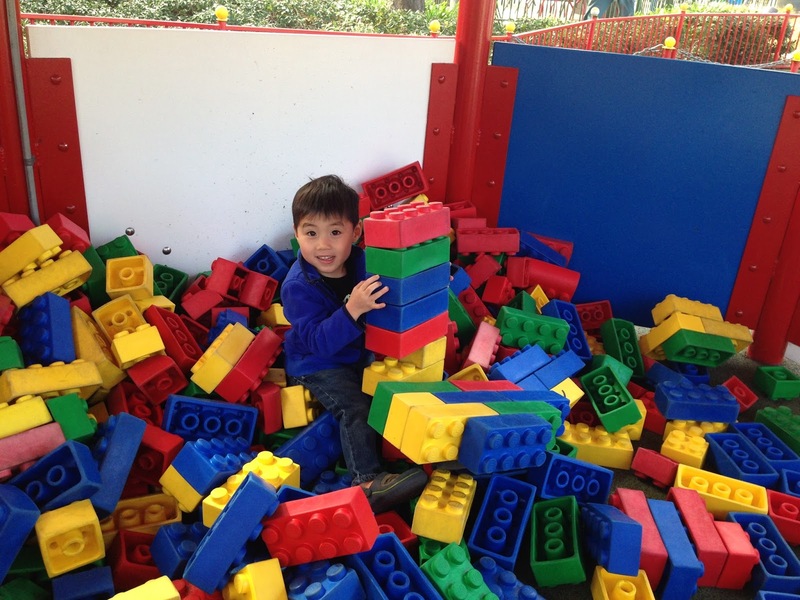 This is a great park for younger kids. Just about all the rides are geared toward that age group, and there are lots of those driving types of rides that my kids love, where they're behind the wheel of a car or boat or plane. On rides where the wait time is pretty long, there's a play area for children so they're occupied while the parents stand in line. The food is also very good for a theme park, and fairly priced. Try the cinnamon-covered apple fries that they sell toward the back of the park.